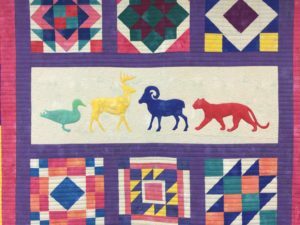 Well, months have passed since QuiltCon happened in California, and I’m just now getting around to writing a blog post about it. 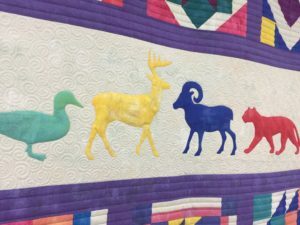 I wasn’t able to attend, but several of the quilts I quilted did! 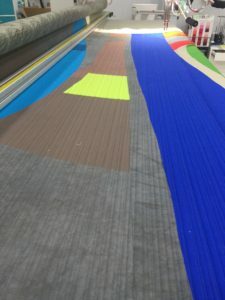 There’s a reason I didn’t write this post in a timely manner. 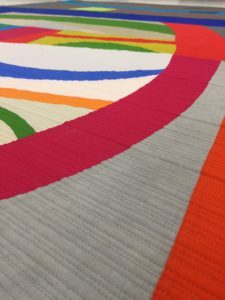 I have this thing where I think that quilting someone else’s quilt doesn’t necessarily give me the right to share the quilting. I guess I don’t want people to think I’m trying to take credit for someone else’s work. 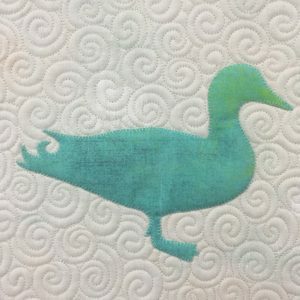 I also don’t really know or understand the rules about when someone’s quilt wins something that I’ve quilted…does that mean I also share that victory? 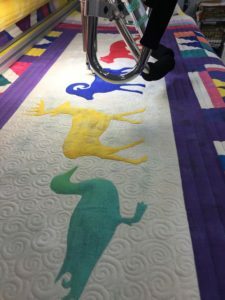 I’m sharing this one because I am super excited about how the quilting turned out, and it won a Judge’s Choice Award at QuiltCon. 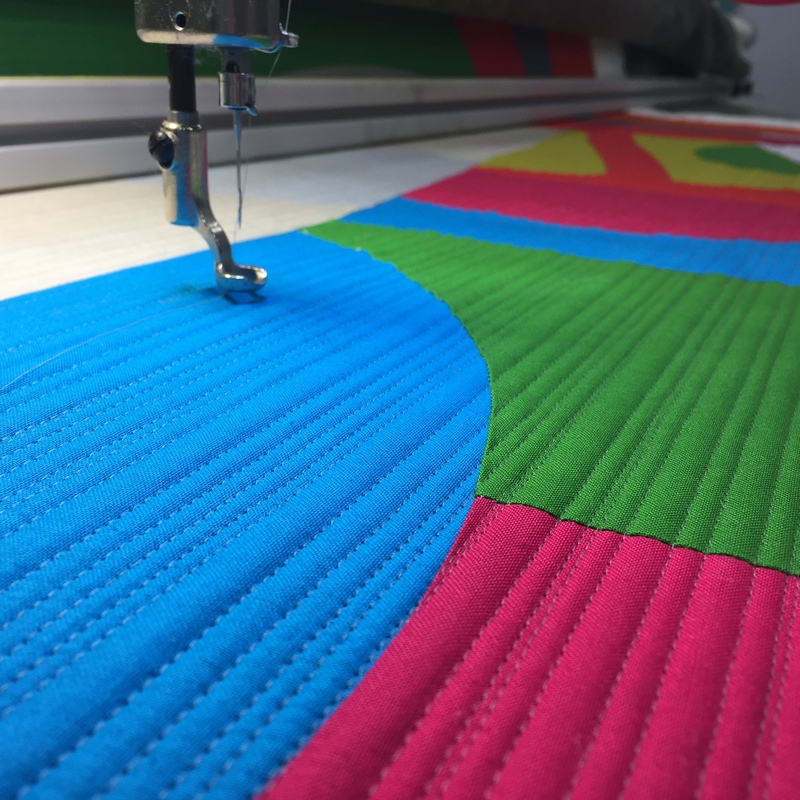 There are so many amazing quilts and creators in the winner’s circle, so be sure you check them all out here! A huge congratulations to Leslie and all the other amazing artists who were recognized for their work. 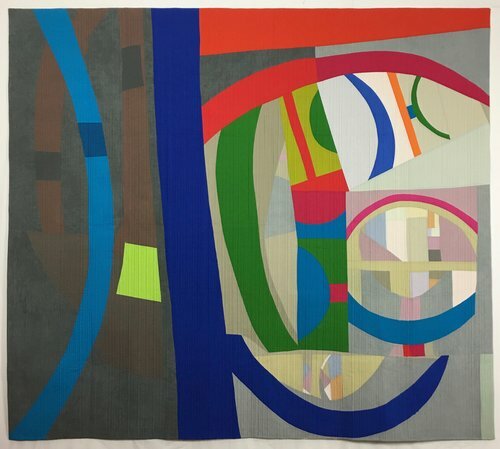 Leslie Tucker Jenison created and constructed this quilt titled “Nests and Vessels”, and it was awarded a Judge’s Choice Award by Beverly Fine. Leslie has studied with Nancy Crow and her style is truly unique and inspiring. L is a contemporary quilt artist and designer for RJR fabrics. 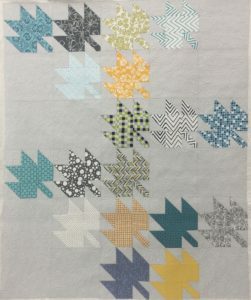 Leslie’s use of color and shape never cease to amaze me, and I consider myself quite lucky that I get to quilt for her. 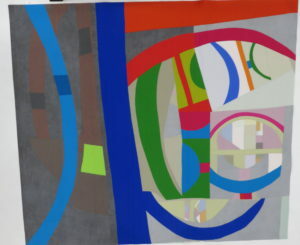 Leslie had several quilts that were juried into the show, and they were all equally inspiring and thought provoking. 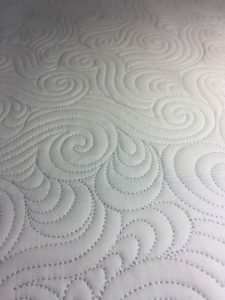 This quilt was quilted with MicroQuilter thread by Superior Threads and the batting was Quilter’s Dream Orient and Quilter’s Dream Wool. 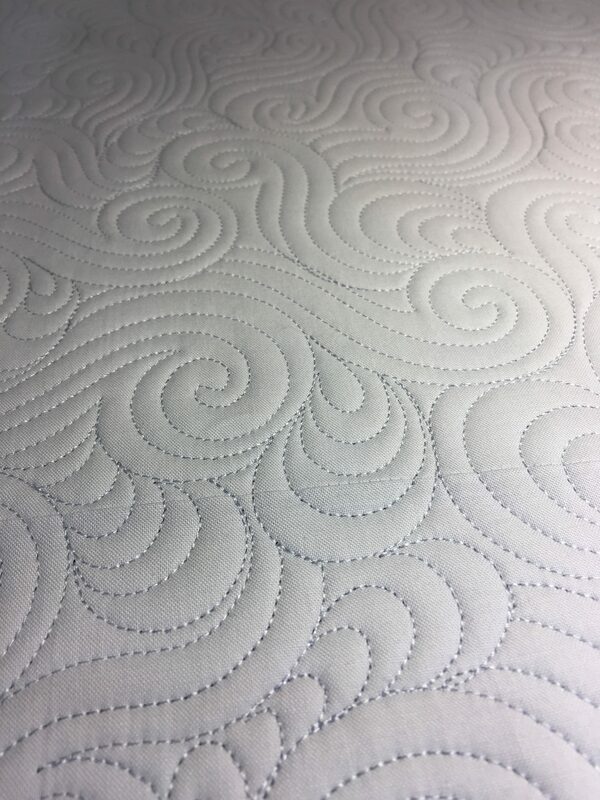 I really love the subtle finish the Microquilter thread gives a project. 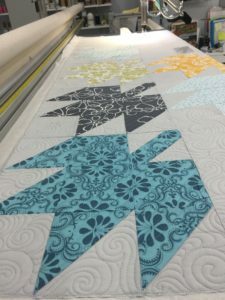 You can definitely see the quilting, but it doesn’t overpower the project and leaves more of a hint of design rather than barging into a room and demanding attention.